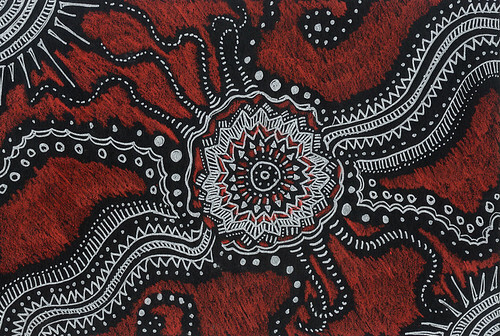 Spiritual Evolution of the Bean: Mandala - Art on Black Paper Part 2: Successful Products. 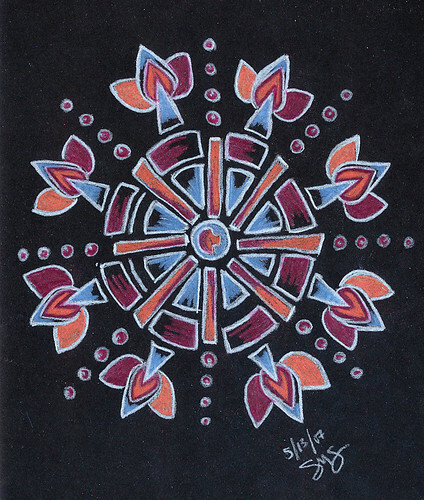 Mandala - Art on Black Paper Part 2: Successful Products. For a while, I was on this kick to create art on black paper. Without the proper drawing impliments, it's somewhat of a challenge. You need a product that's highly pigmented so it will show up well on black paper. I tried lots of different implements on the paper that didn't work out. Crayons, (like Crayola) had too much wax content to show up on the paper at all. Oil pastels worked but smeared easily and have a very offensive odor. They were also too large to work with for small detail. I didn't want to work with pastels due to the smearing issues. (I have a hard time keeping my hands from touching the paper as I work.) I also tried gel pens. Have I mentioned how much I hate them? I had about a dozen different kinds and none of them would write without skipping on any kind of paper I tried. Paint pens worked pretty well, until they start to run out and you have to shake them to get them going again. My favorite product for working on black paper are the Caran D' Ache Neocolor II water soluable crayons. They can be sharpened, they don't smear on the paper and are very vibrant in color. They were used on the above image on the Mie Tientes paper. The Neocolor crayons come in both regular and water soluable versions. The water soluable version is just that - draw on paper, run a wet brush over it and they act like watercolor paints. (They are not suitable for painting on the black paper.) You can also take a wet brush and just touch the tip of one of the crayons to add a bit of color to your brush for painting. They are very versatile. They sell sets of 10 that could be used in place of a pocket watercolor set. The image above was created with Prismacolor colored pencils, but there's a trick involved. I did not test every brand of colored pencil to see what worked on the black paper. I tried my Prismacolors and a few colors, (mostly pastel) would show on the black and then others wouldn't. 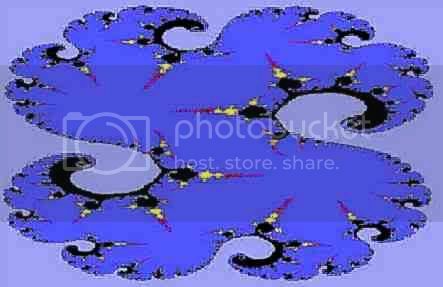 The above image was created by drawing the design in white colored pencil first, and then adding color on top. The white pencil acts as a primer for the colored pencil. In this last image, I used one of the cheapest methods of getting color on black paper. The red came from a what I call a Grease Pencil. Some call them wax pencils, or China Markers. The cost about a dollar and are nice & pigmented & smooth to write with, but the available colors are limited. The silver in this image came from a paint pen. I had not set out to paint on paper, but if you do- there is a type of watercolor paint called "Gouache" that is highly pigmented and should work well. I am not sure how I ended up on your blog but am glad I did. Really nice work on the black paper. Do you not name your creations? I like the "last one" ; seems I've seen similar markings in Utah that the ancient indians did on the rocks. By the way, what is the origin of the word "biffy" do you suppose. I have an idea but don't want to bias your opinion. From what I gather, a "biffy" is Canadian slang for an outhouse. LOL. While I am not Canadian, "Biffy" was my childhood nickname. 9As long as I can remember) Mom still calls me Biff. The origin of the nickname is not really known. If we go by my Dad's version, it was taken from a local tough-guy gangster named "Biff McGonagle." My grandmother used to have 5 cabins between 2 lakes north of Minneapolis, Minnesota (near Brainerd). We 6 would all travel up from Missouri each summer to vacation there: fishing, swimming and having endless fun. She was an old grizzled woman who said grace in german and referred to the outhouses at the resort as "biffys"!! So imagine my surprise when you used that word on your blog. Perhaps its a northern US/Canadian reference; but you are the only person outside my family (and probably those who stayed in the cabins) who uses that word. Biff ,on the other hand, seems familiar. Maybe from "Death of a Salesman". By the way, we have a neighbor who still has no inside water and uses a biffy!! Great work! Love the doodles and really enjoy your blog.